Click on the title page to read our Coordinated Transportation Plan. 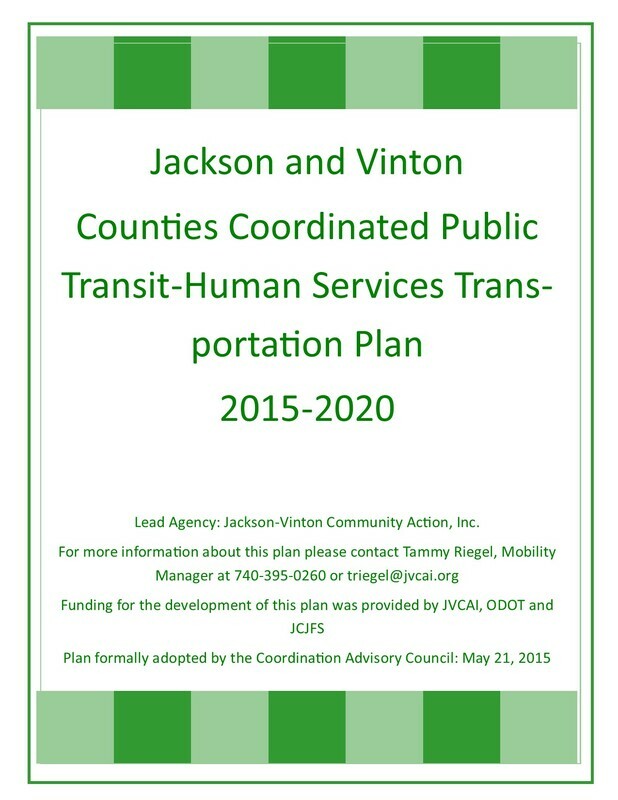 You will be able to review the transportation challenges in Jackson and Vinton Counties. You will also find the goals and objectives that were developed to meet those challenges and discover the strategies that were developed to assist our community in helping to eliminate the transportation challenges faced by the elderly, persons with a disability and low-income persons. Would you like to be involved in helping with the transportation challenges in Jackson and Vinton Counties? Join our Mobility Management Coordination Advisory Council.. New members are always welcome!